I uncover some fascinating forensic facts while conducting research for my crime novels. There are 13 featuring the rugged and flawed Inspector Andy Horton with number 14, Dead Passage, being published in October 2018. And there are 3 novels in the mystery thriller series featuring the tough yet fallible Art Marvik plus two standalone thrillers. I'm very grateful to all the help and inside information given to me by Hampshire Police, the Hampshire Fingerprint Bureau and forensic scientists who have assisted me on matters such as toxicology, stab wounds, forensic geology and more. Here are some interesting facts on Blood Spatter from a forensic scientist, expert in this subject..
Arterial 'rain' is the term used where blood in an arc effectively spurts from the victim’s wound into the air and then drops to the ground as it gets further from the upright body simply by gravity. There can be several 'spurts' of this arterial rain as the heart keeps beating. So, not only will you find this arcing of blood spots on the wall/cupboards/doors etc. (it can even extend to the ceiling) you will find drops of blood on the floor as the victim lands. Once on the floor these blood stains will have an almost star shape 'stellate blood spots' which show that blood has dropped from above, therefore the victim was upright whilst injured and bleeding. So there you have it! 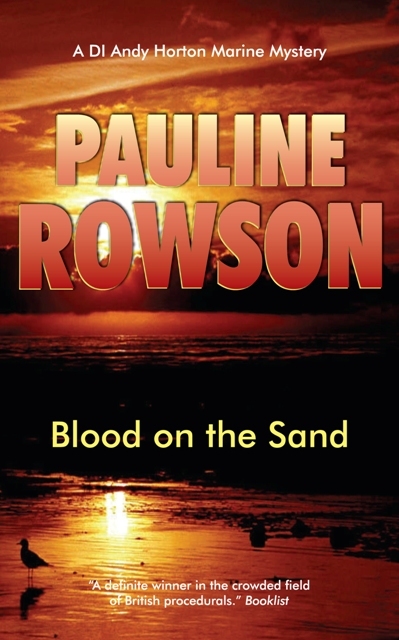 Read my crime novels to find out more but don't worry they are not gruesome but murder mystery novels, fast-paced, multi-layered, gripping and entertaining. They don't carry a government warning and won't make you lose any sleep at night - not unless you toss and turn trying to figure out who dunnit!